Melodie, a native Floridian and a life-long resident of Sarasota Florida, completed her massage training at the Sarasota School of Massage Therapy in the spring of 1990. Having suffered severe pain from an injury due to an auto accident and experiencing great relief from that pain through soft-tissue work; she wanted to offer others the same help. Melodie continued her studies and earned certifications in Neuromuscular Therapy American Version TM from Judith Walker DeLaney in 1991, and in pregnancy and postnatal massage therapy. She has attended dissection studies in human gross anatomy at the University of South Florida College of Medicine. Melodie also has extensive experience treating patients in a multi-disciplinary rehabilitation facility that specializes in working with adult and pediatric clients with brain and spinal cord injury, burns, amputations and orthopedic conditions. After many years of practice, although she was seeing some good results with her clients, Melodie longed for work that could offer her clients more lasting and profound results. She has found that type of work in Structural Integration. In addition to her private practice, Melodie is a faculty member, and Education Director at the Sarasota School of Massage Therapy. 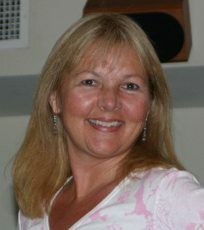 Melodie enjoys sharing her knowledge and passion for learning and bodywork with others. Melodie, with her colleague Marcia DesRosiers RN LMT, also developed and teaches, Massage For Motherhood a workshop for certification in pregnancy massage for massage therapists. Her hobbies include photography, quilting, cycling, and studying. She also enjoys being outdoors and spending time with her family and friends.